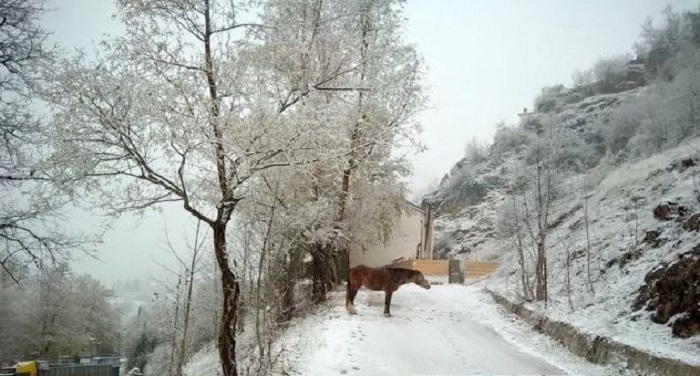 Parts of central Greece were covered by snow on Friday, the first of the season. The mountainous villages around Trikala in Thessaly were the first to welcome winter, and meteorologists predict that temperatures will drop significantly over the next few days. The photos from local website trikalaola.gr were taken at the village of Haliki near Aspropotamos. Greece’s meteorological service on Friday said that wet and chilly weather is expected across Greece through the weekend, starting in the west and spreading across the Aegean by Sunday. It also warned of gale-force northeasterly winds in the northern and central Aegean on Friday and Saturday, while the Ionian Sea can expect strong easterlies reaching up to 9 on the Beaufort scale. Snow is also forecast for the highlands of western Macedonia, in areas such as Florina, Ptolemaida, and Kozani.